A Nintendo game for smartphones sends people around the real world chasing virtual monsters. WSJ's Joanna Stern takes to the streets to explain everything you need to know about the latest craze. Photo: Drew Evans/The Wall Street Journal. We’re standing at a defining moment in the history of technology. Me? I’m standing in my pajamas at 10:30 p.m. in front of a townhouse with painted giraffes on its facade. I’m not alone, either. Four others came out for the same reason: to capture the two-headed, ostrichlike monster bouncing around on the sidewalk. To understand how I ended up in a situation that once could’ve only been explained by psychedelic drugs, you need to know the events of the past week—how my life has become dominated by a classic videogame designed for 10-year-olds. Niantic Labs, partnering with Nintendo and Pokémon Co., released "Pokemon Go” a free game for iPhones and Android phones. When you launch it, you see the game franchise’s world famous “pocket monsters” as if they existed in your backyard or bathtub. The point? To “catch ’em all,” as the kids say. This is augmented reality, or AR, where your smartphone’s camera, GPS and position sensors tell the game what to display and where. It’s a digital world layered over the real one. Unlike virtual reality, which transports you to another universe, you play in your own. Pikachu is the most well known Pokémon. The technology isn’t new. Smartphones have had AR games for years, and even Nintendo previously released similar features for its 3DS hand-held device. This isn’t even especially good execution of AR. Which is why perhaps not even Nintendo predicted what happened next. Suddenly, millions of people put phone to face and began roaming their neighborhoods, hunting monsters. The frenzy led to injuries, the discovery of a dead body, even true love. Maybe they were driven by a Game Boy-era love of Pokémon, maybe just intense peer pressure. “How about Pokémon... No?” I said at first. But I changed my mind (it was the peer pressure) and I’m glad I did. If you’ve been fighting to ignore this phenomenon, you should check it out, too. Not just because you may get to know new places or people, or because you may enjoy the charming absurdity of little monsters dancing on your desk. It’s time to witness the power of augmented reality, which connects us to others and our environment in a way no technology has before. I’m fairly certain I only understand 50% of “Pokémon Go,” but what I do understand I learned almost entirely from complete strangers ages 10 to 30. New Yorkers may scream at you for making eye contact on a cramped subway, but ask if they’ve seen a Psyduck around and they’ll lead you right to it. 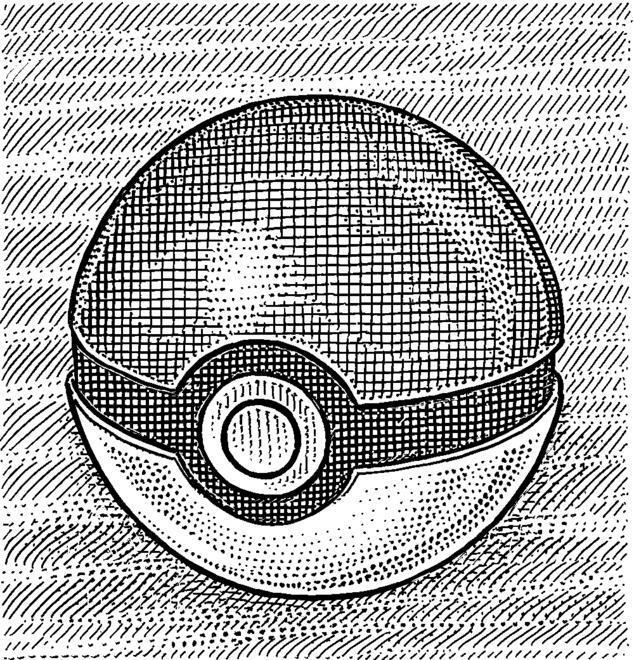 In ‘Pokémon Go,’ Pokémon are overlaid in your environment. What the heck is a Psyduck? It’s one of hundreds of adorable types of monsters you can catch. 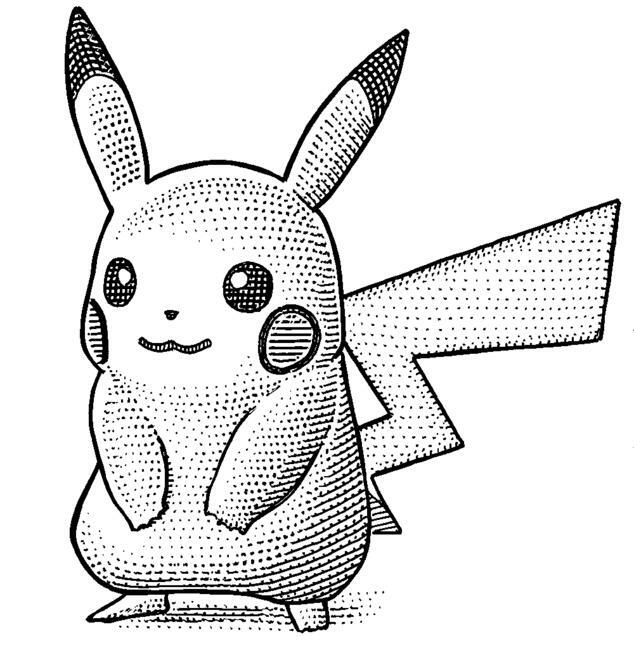 (No, they don’t all look like the classic yellow Pikachu.) You collect them to become the ultimate Pokémon trainer. Yes, you care for them with the end goal of putting them in a fighting ring. •Capture Pokémon —The “Pokémon Go” app starts like Google Maps, plotting your location on a virtual landscape. You’ll see real parks, buildings and roads. Pokémon won’t pop up in the middle of a busy street, but they will appear around you. Tapping one launches your phone’s camera, and you’ll see the creature overlaid in your environment. Below it is a small red and white Poké Ball. Aim your phone at the monster, swipe the ball toward it and, boom, you’ve caught it! •Get Poké Balls —Poké Balls are why I visited that giraffe building. You can buy them in the app for $1, or you can get them free by visiting PokéStops—historical points of interest and other landmarks. It’s been fascinating to stop at places I pass every day but never really look at. Poké Balls are used to capture Pokémon. When you near a PokéStop, marked by a blue tower on the map, you can collect Poké Balls and other goodies, like eggs. An egg will hatch into a Pokémon only if you walk. Depending on the egg, that could be one to six real miles. Welcome to the Pokémon weight-loss program. •Battle Pokémon—Once you’ve played a while, you can go to another real-life location: a gym. This is where your Pokémon get in the ring for battle. (Soon, Niantic intends to let you interact with other people’s Pokémon.) At the gyms, I’ve met interesting people I otherwise would never have chatted with. Once they picked up their heads from their phones, that is. It isn’t all just fun and Weedles. (Caterpillars that look like they’re wearing birthday hats, duh!) You should always take precautions when letting a digital service know your real-world location. As for your digital security, bear in mind that Niantic and Nintendo collect some personal data, including IP address and your location, while using the app. When you sign up for the game, your best bet is your Google account, given the current instability of the Pokemon Trainer Club account registrationPreviously, an app error caused iPhone users to inadvertently grant full account access to Niantic when logging in with a Google account, but that problem was patched.